This discussion in the book gets you thinking about the problems in your own organization that you want to solve. Second, it was a good reminder in the book to read about how to assemble a project team and what roles should be included in that team. The next sections I found most valuable were the two sections on anticipating risks and resistance. These are easy to overlook (or just plain ignore), but thinking about who will resist, why they will resist, and how they will resist, helps one think through and anticipate the resistance so one can be prepared to overcome it. 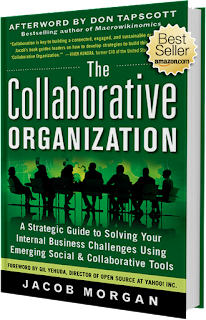 Though I found this to be an easy read and a practical guide that would definitely be valuable to anyone looking to justify, select, implement, and sustain an enterprise collaboration system, I found the book to be a little light-weight. Specifically I mean that the book was not rooted in research or evidence. There is no bibliography or reference list in the book. So I am left to assume everything is based on the author's experience and personal opinion. Of course, this is the nerd in me talking. The practitioner in me (I am a director of training and have implemented many enterprise systems in the real world) thinks the book is something I could pick up and use. The case studies were useful and nicely balance the lack of references to research and evidence. 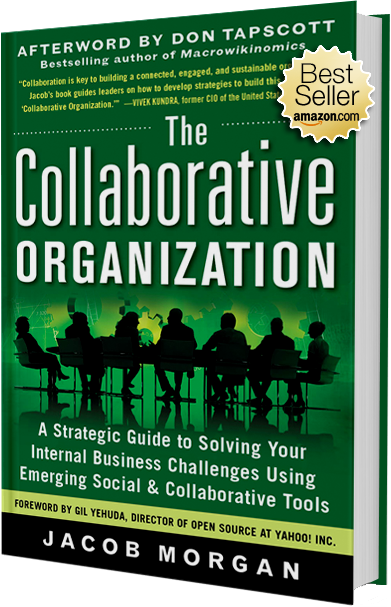 The Collaborative Organization is a very good book. One can tell the author has helped clients succeed with their implementations, which is what really matters isn't it? I recommend this book to anyone who is looking to do anything from come up with a justification for an enterprise collaboration solution to someone who wants to do a successful implementation.